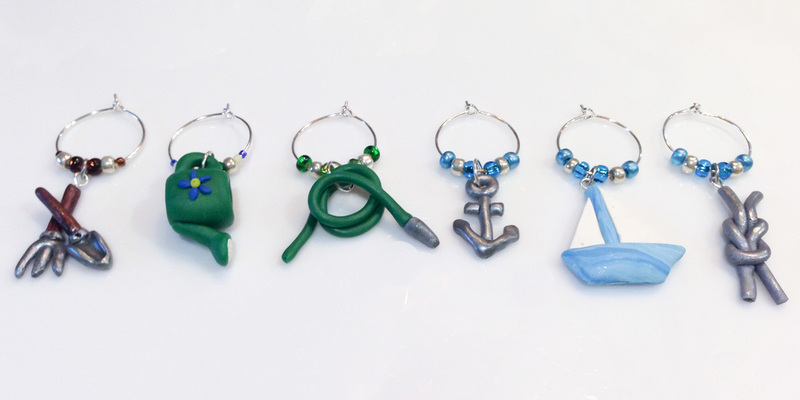 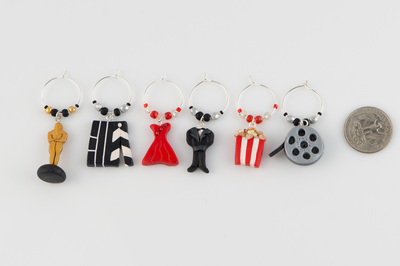 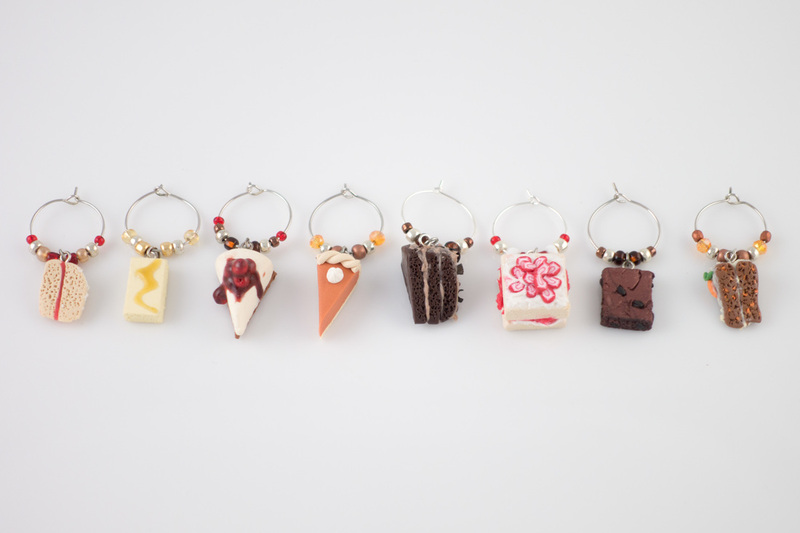 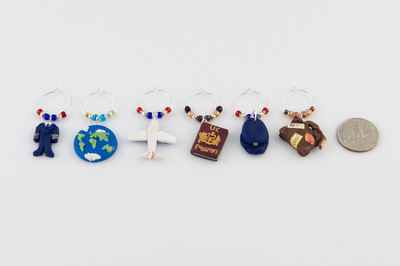 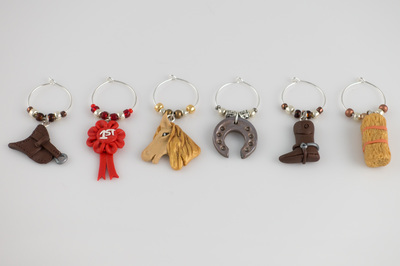 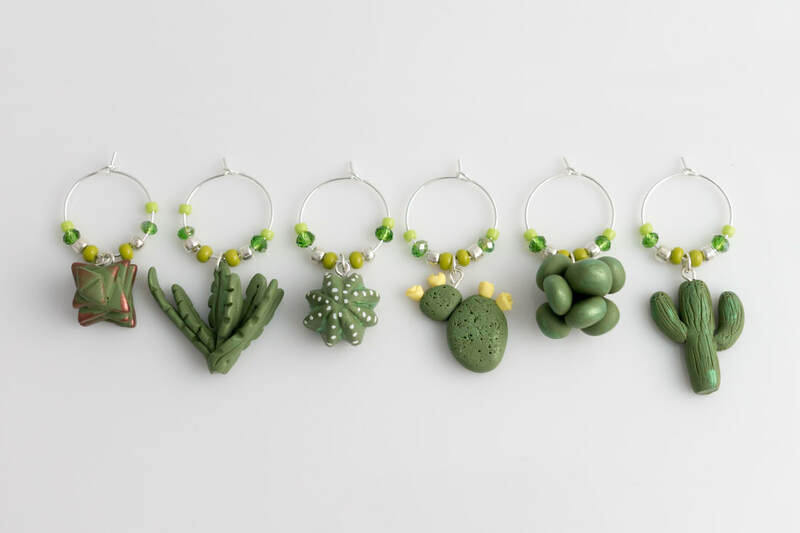 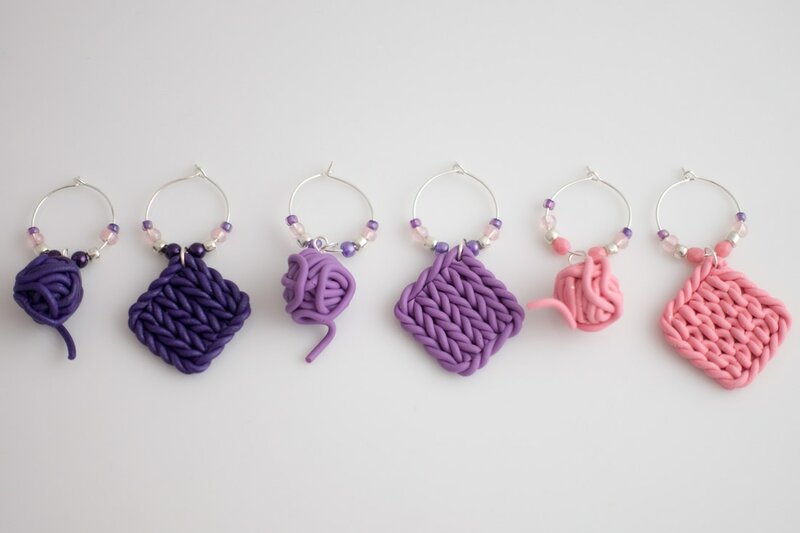 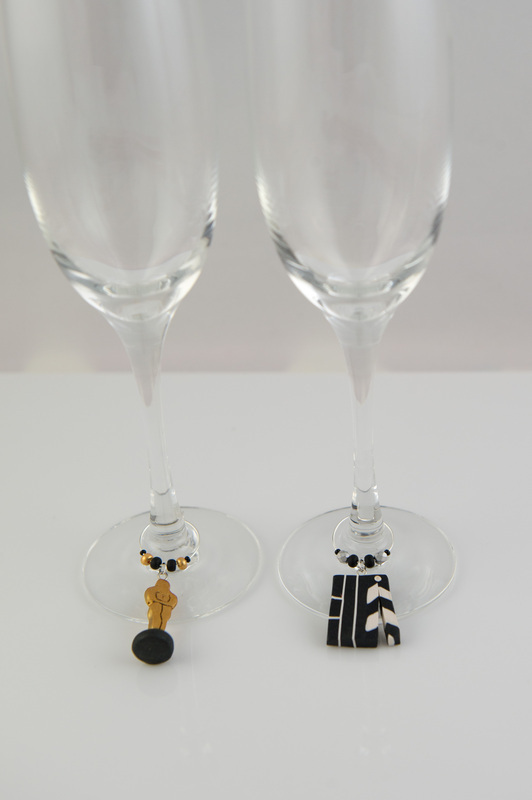 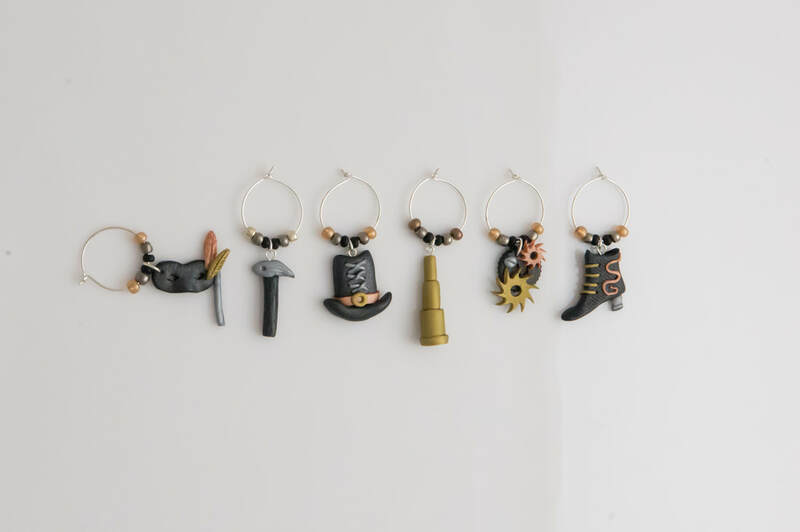 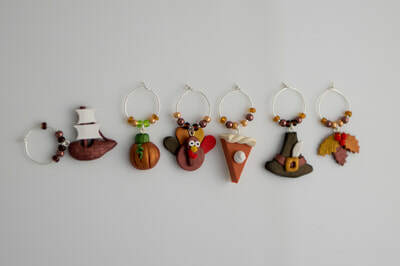 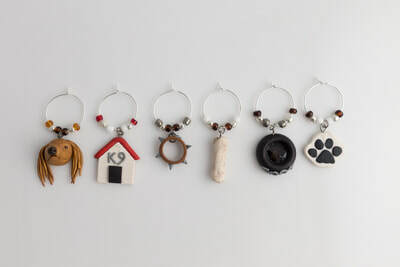 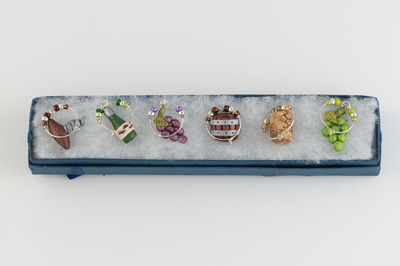 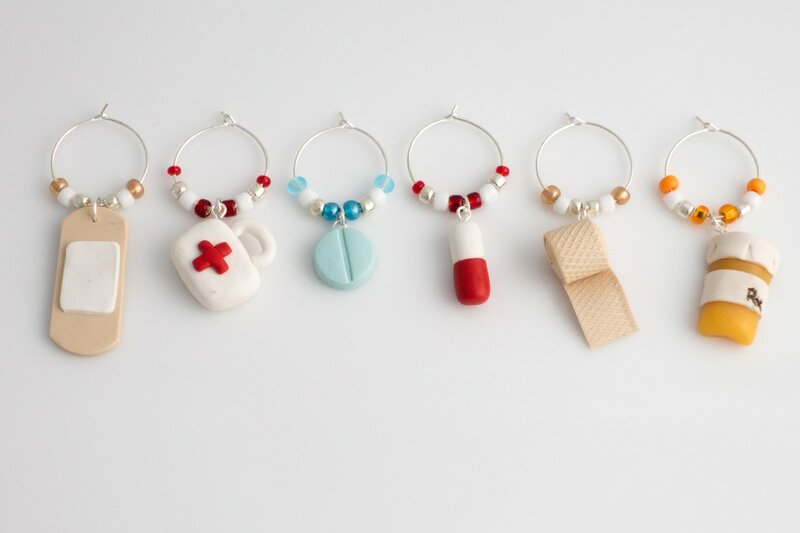 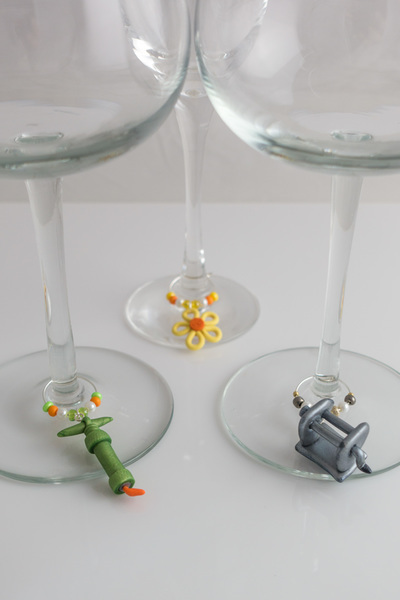 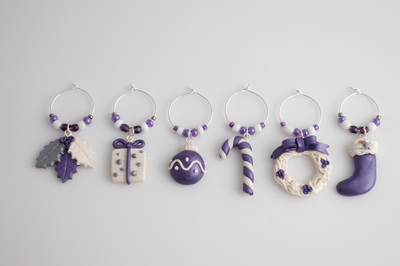 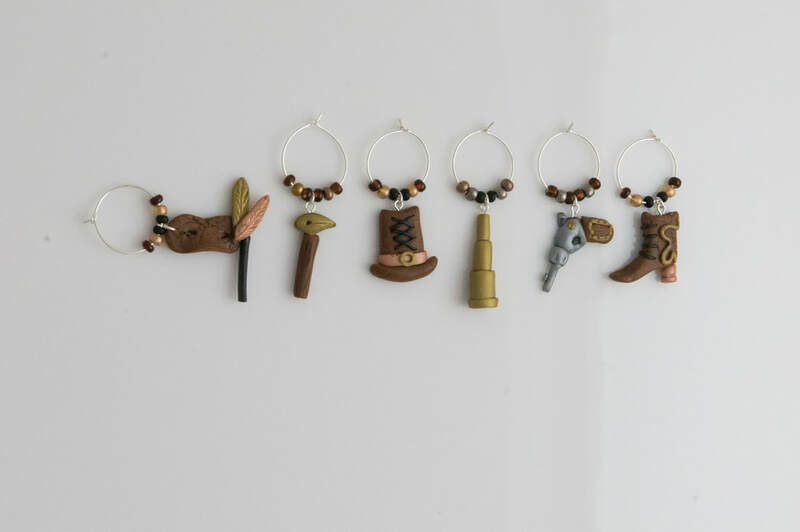 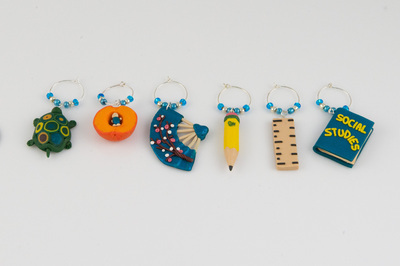 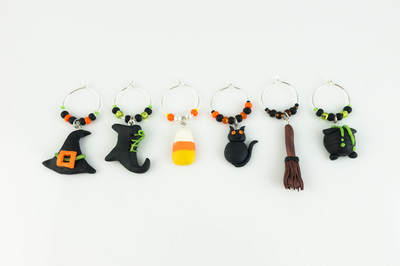 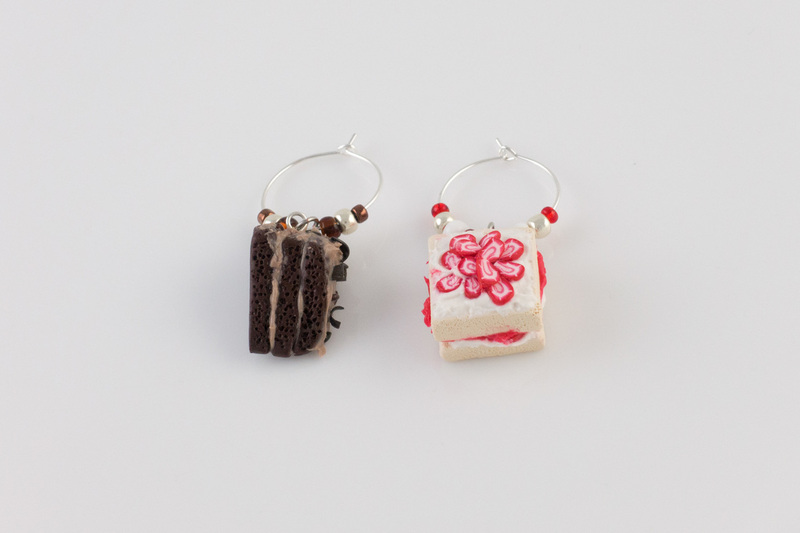 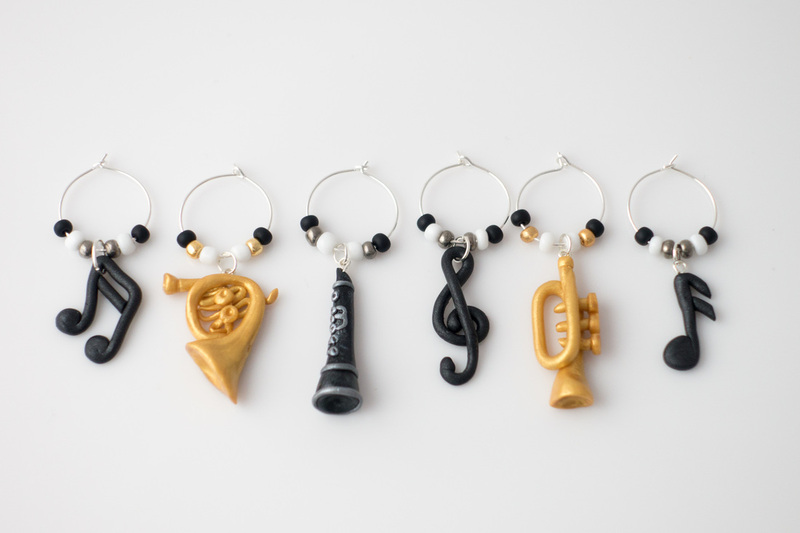 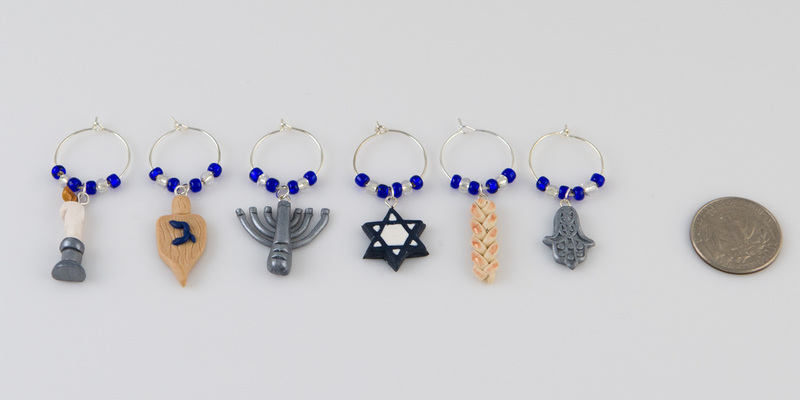 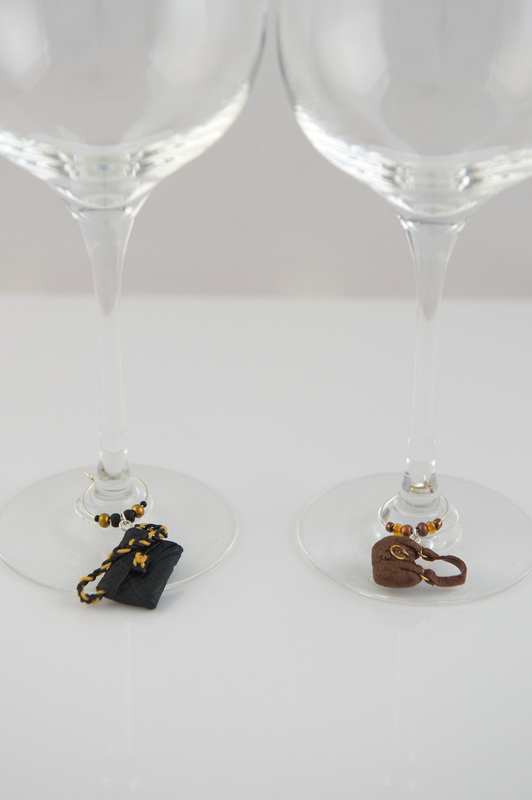 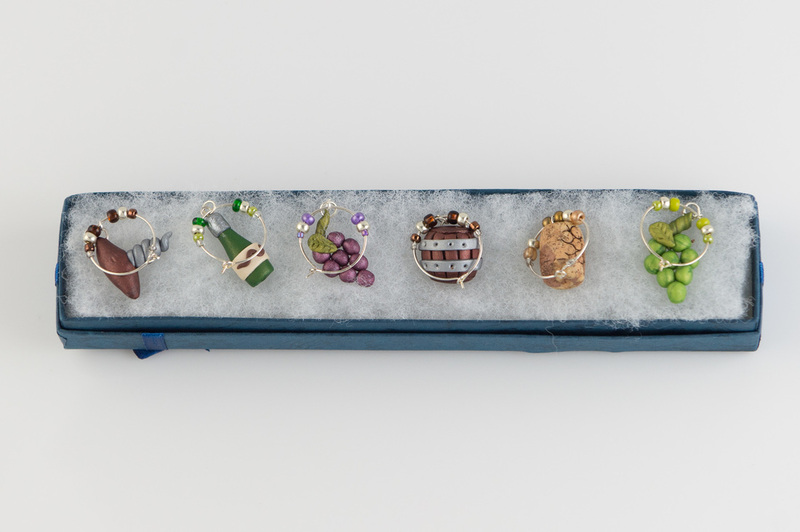 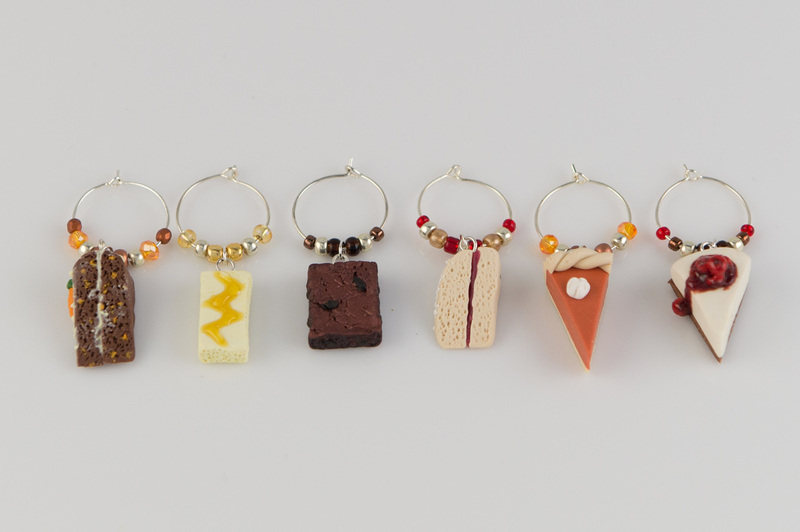 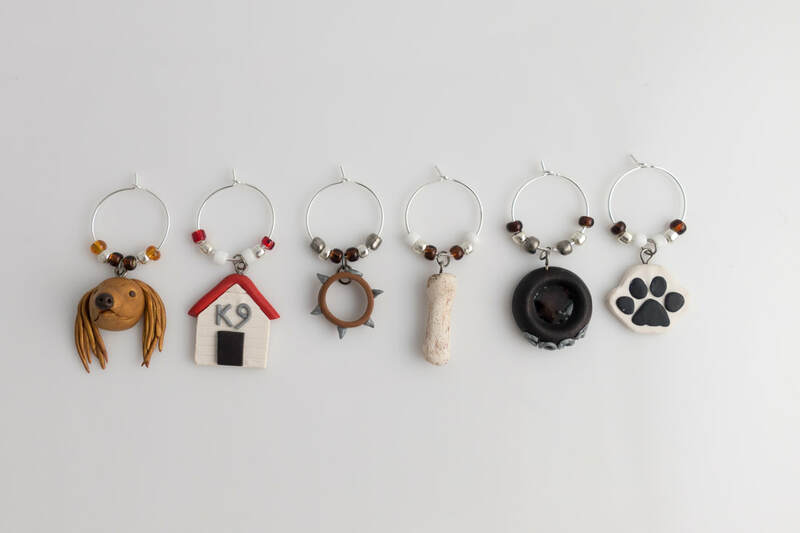 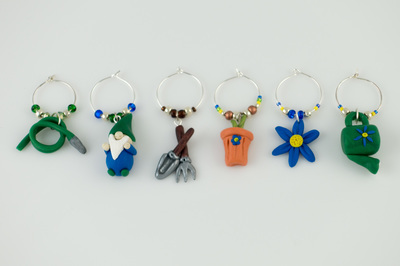 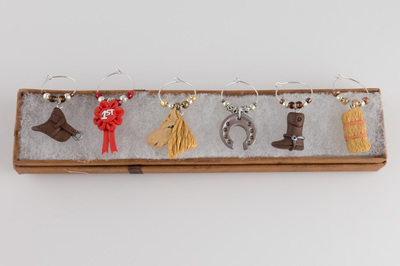 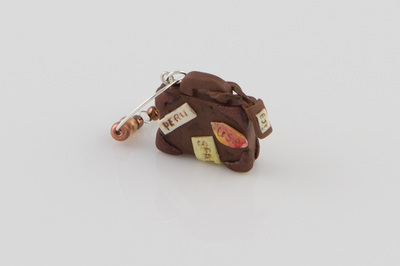 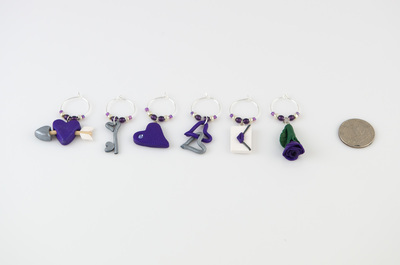 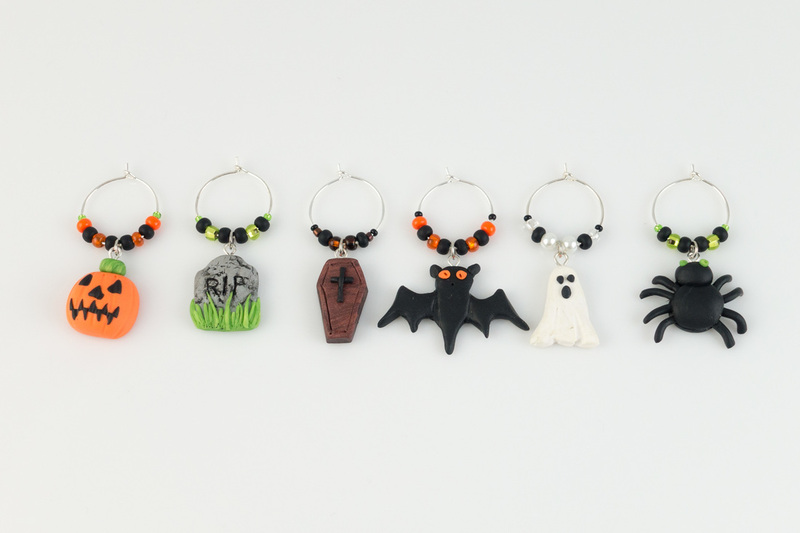 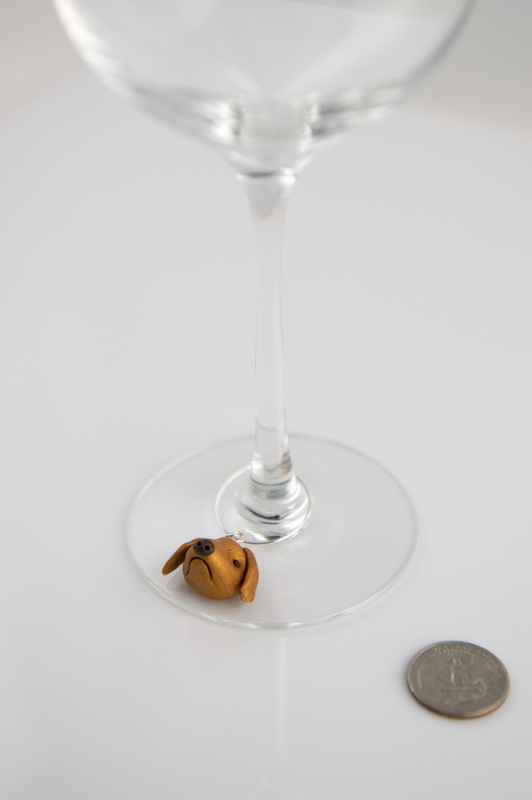 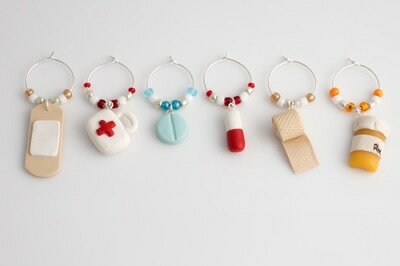 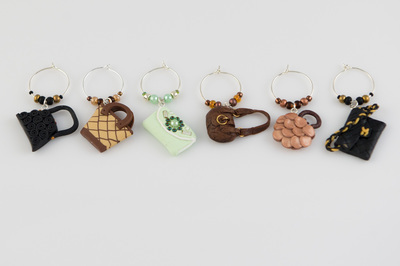 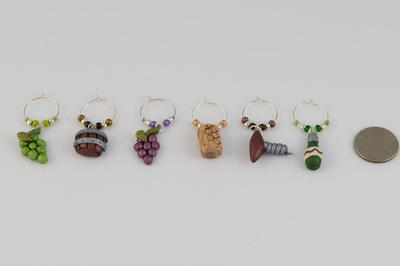 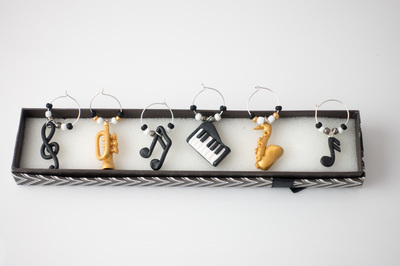 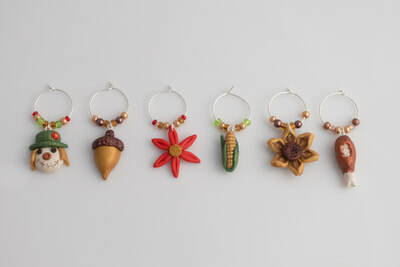 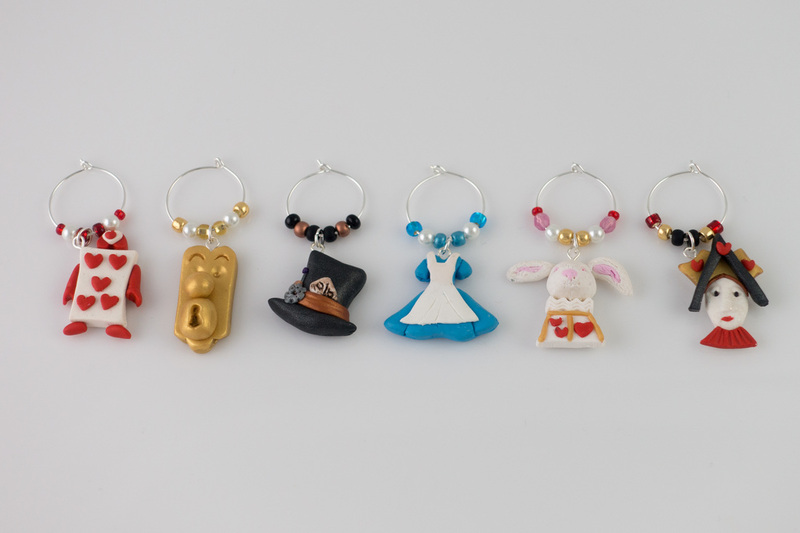 ﻿I've been making wine charms for a few years now and they are proving popular. 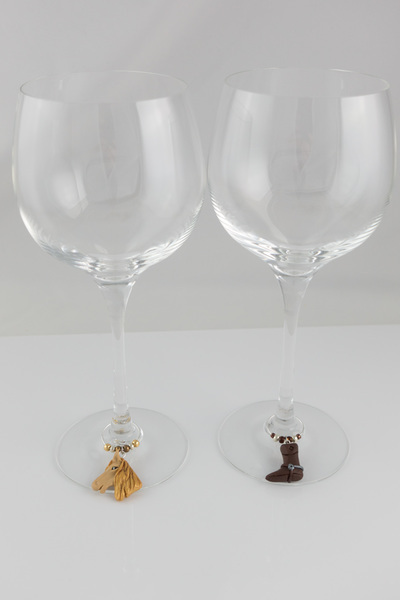 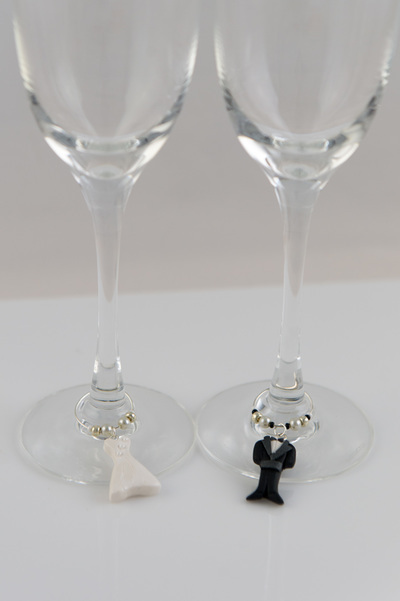 Here's my latest sets of wine glass charms, they are very fiddly but have come out well. 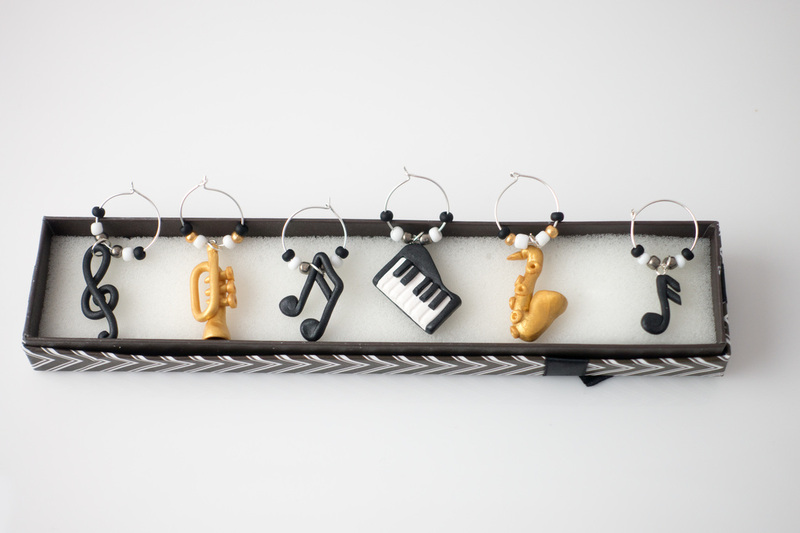 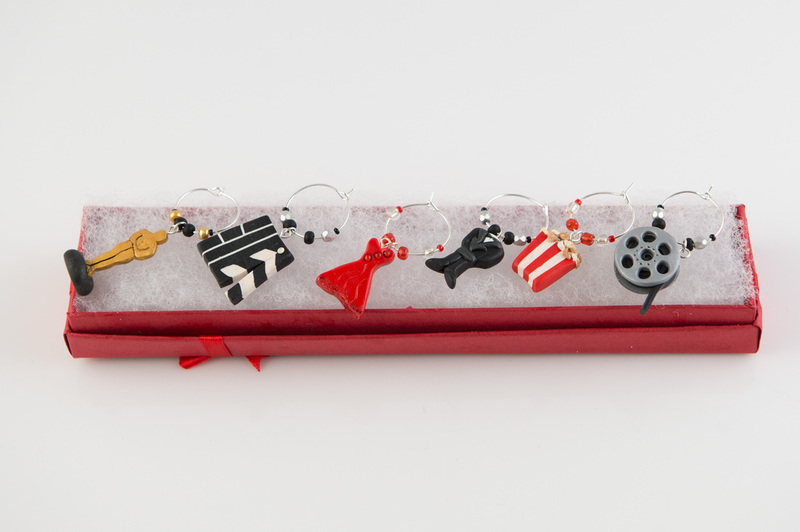 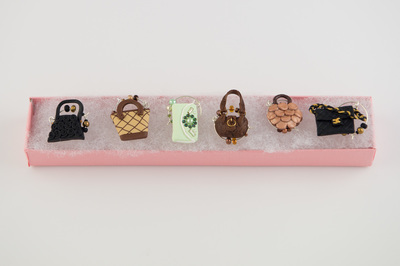 These are all hand sculpted, they are not painted and come in a presentation box (box colour may vary but I try to stick to one that matches, so oscar night comes in a red box for example). 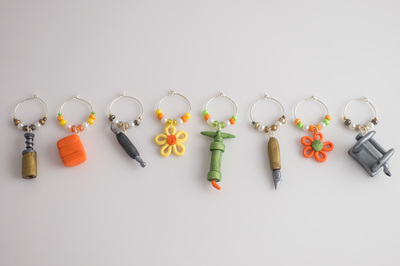 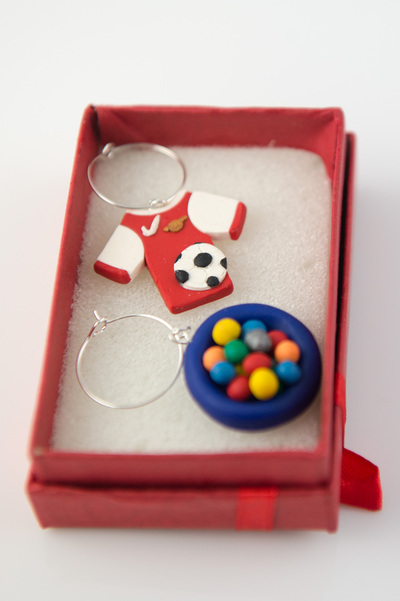 Also see bottom of page for bespoke charms which were commissioned. 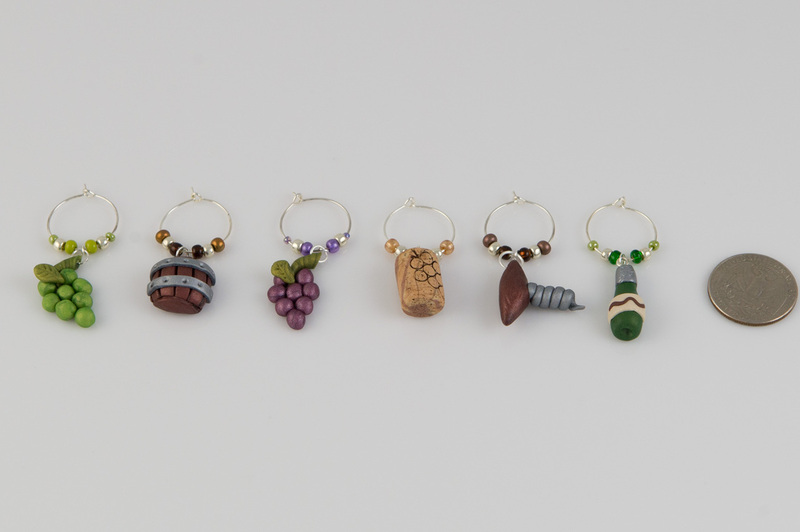 My first set was the wine theme and I'm especially pleased with my faux cork. 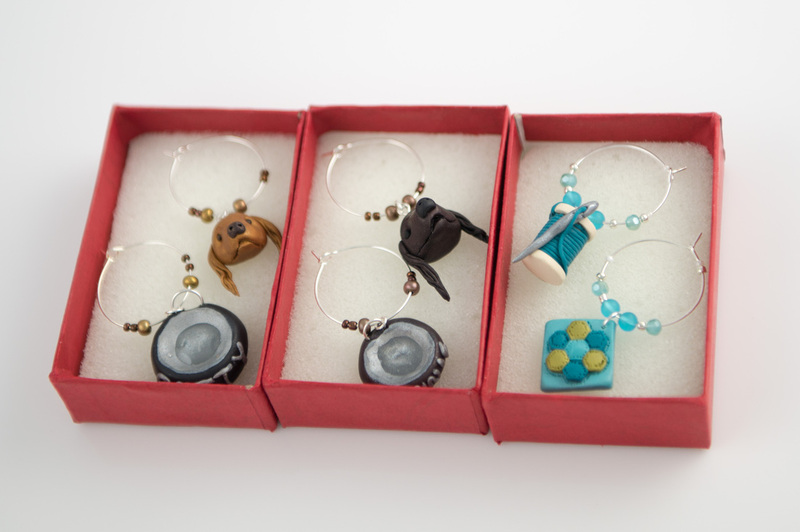 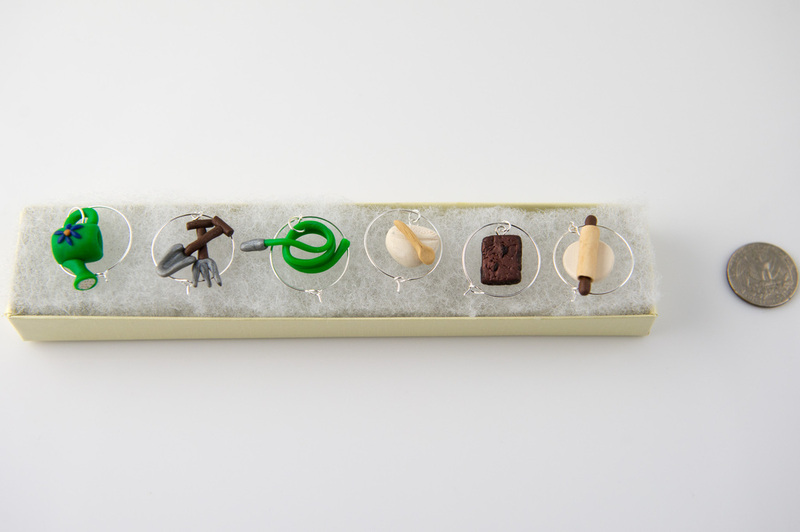 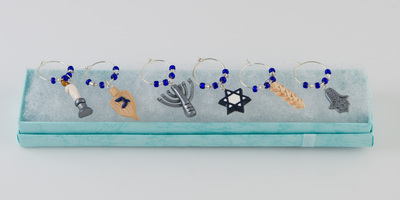 Often a single commission or need for a gift has been the inspiration for my sets. 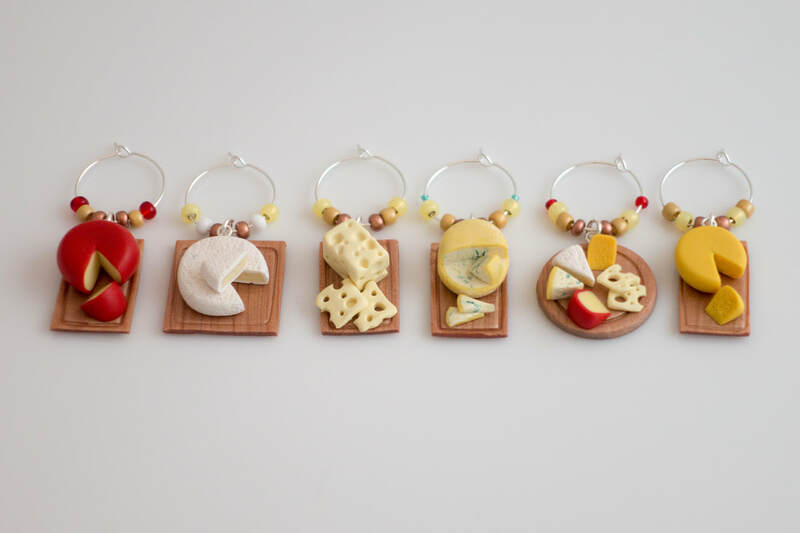 Most recent are the Cheeses, Cacti and the Nurses sets. 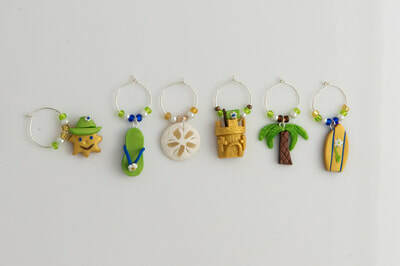 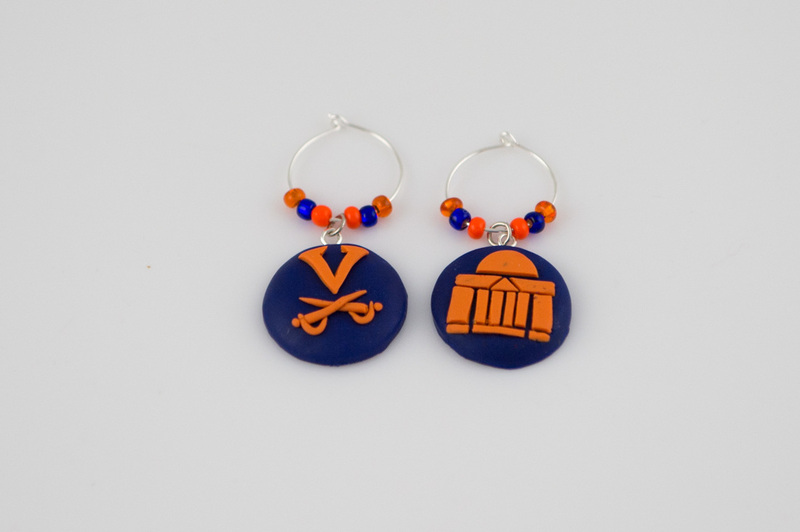 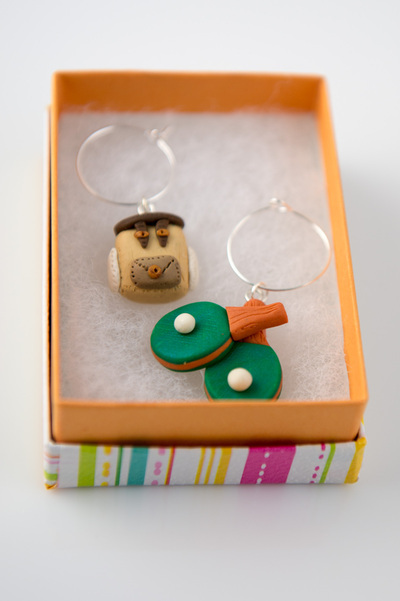 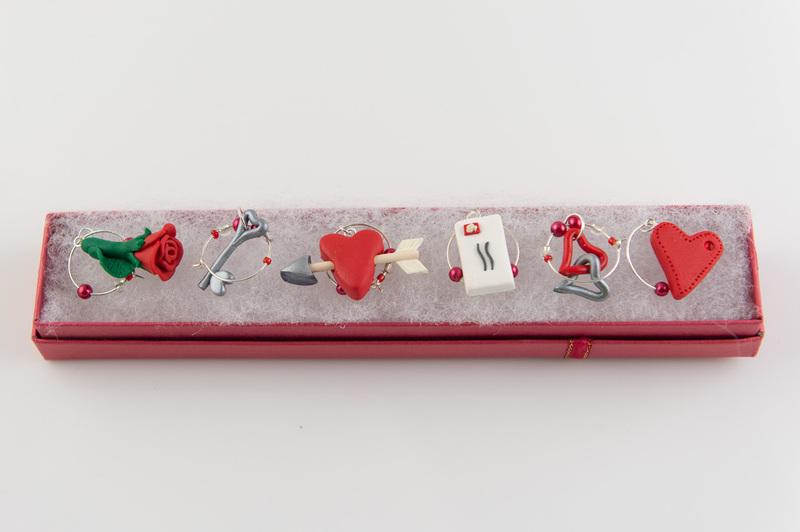 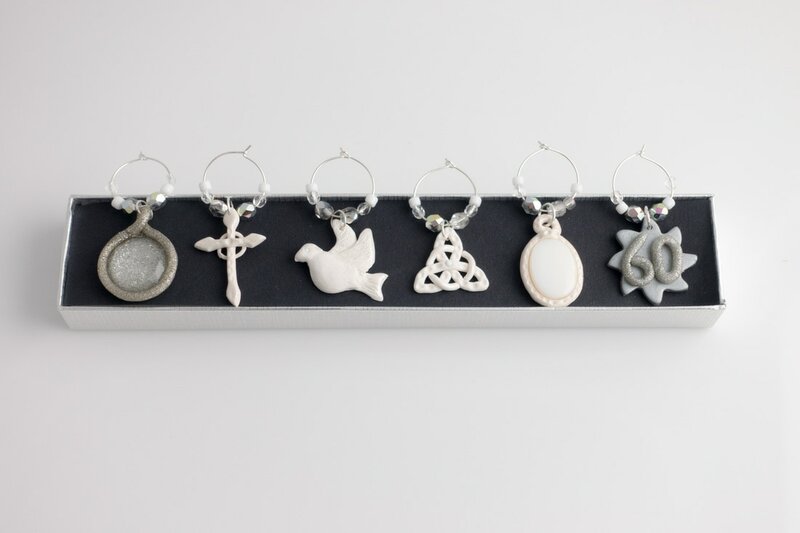 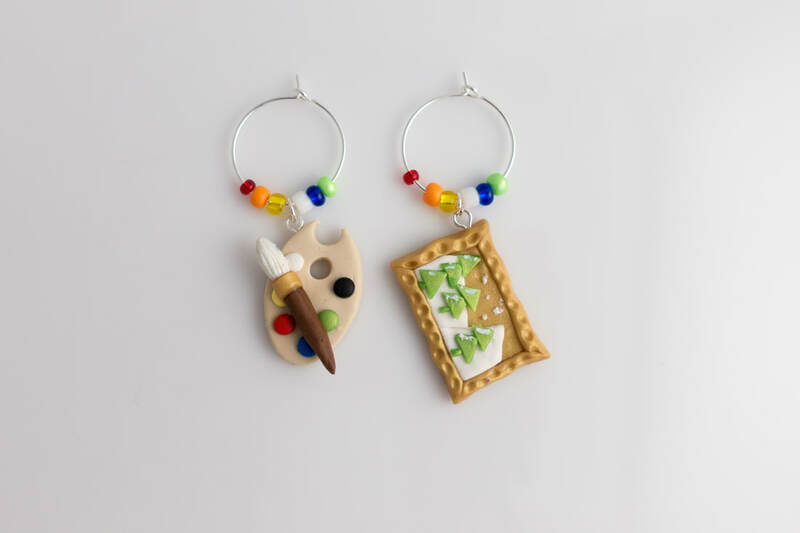 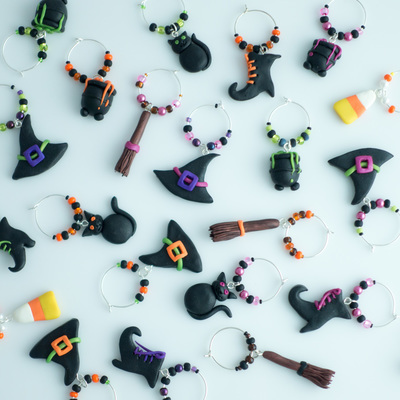 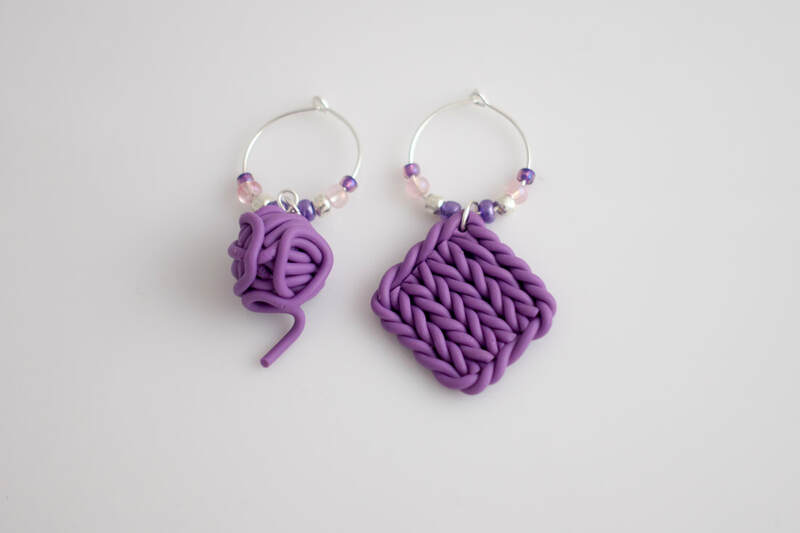 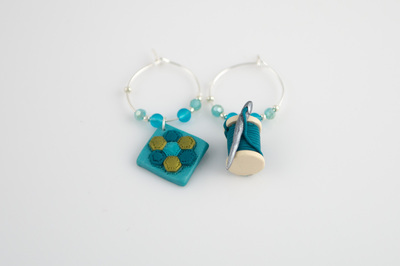 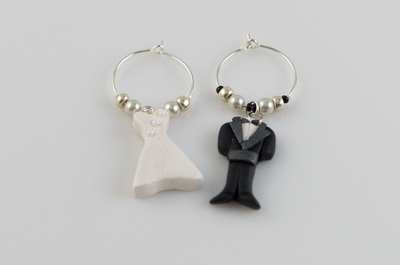 Price for a boxed pair (Wedding, knitters or artist) of charms $10. 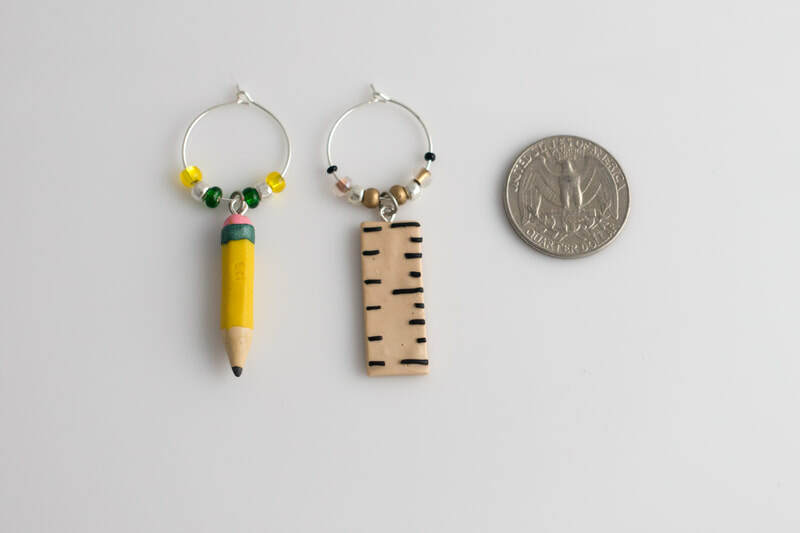 Special commissions start at $10 for 2 and vary according to complexity and whether I can re-use the design. 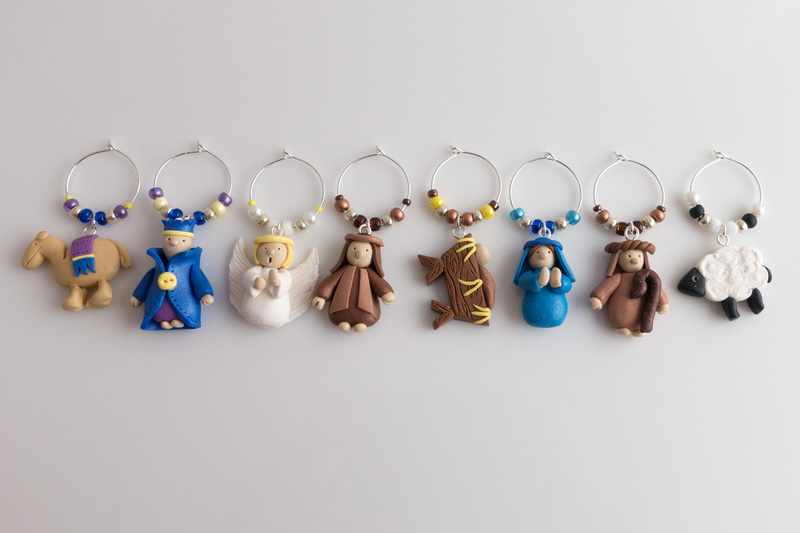 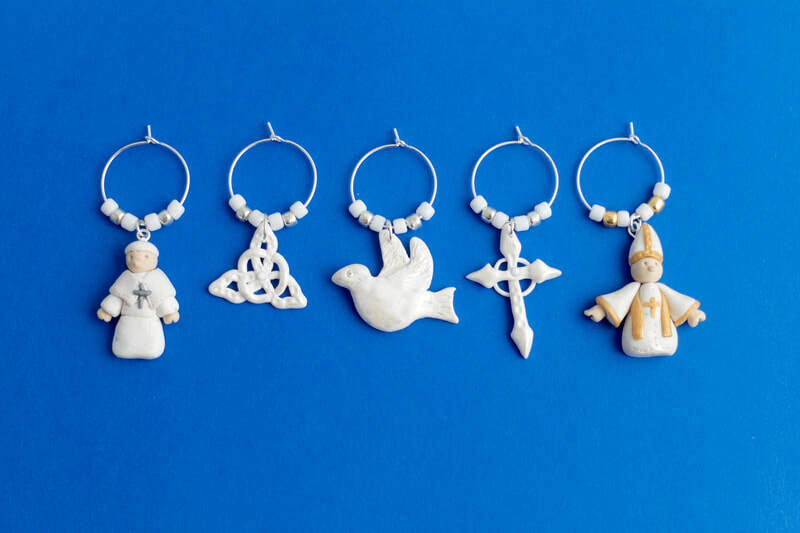 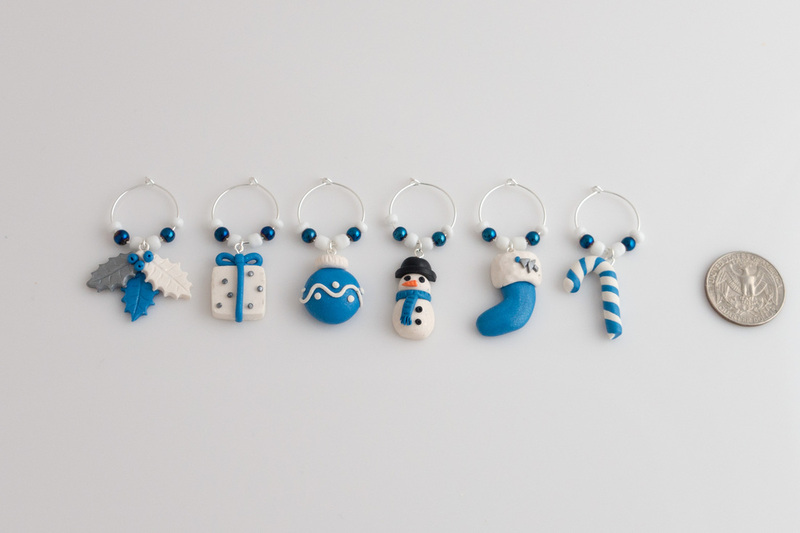 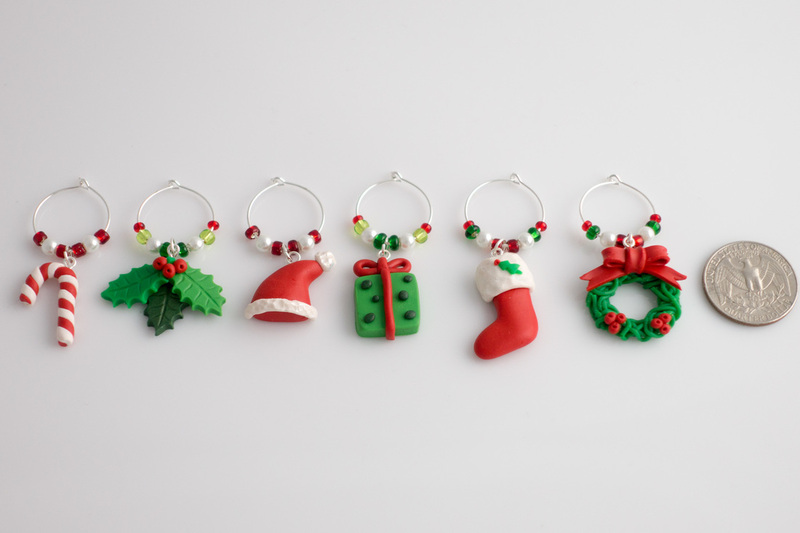 As well as the sets above I've been commissioned to make some special charms for people for Christmas. If you're interested use the contact tab or the envelope button above. I've typically been making a pair for an individual or a couple and charge $10 to $12 for them (depending on complexity), they'd come in a small presentation box.